Are fireworks allowed in the Boy Scouts of America? With the Fourth of July approaching, it’s important to remember that setting off fireworks is an unauthorized activity in the Boy Scouts of America, except when the display is conducted by licensed experts. A group of five Varsity Scouts from the Utah National Parks Council lifted an SUV off a woman who had been pinned in a rollover crash Wednesday. Can youth wear the NESA Life Member square knot? Justin, a youth and lifetime member of the National Eagle Scout Association, asks whether he can wear the silver-bordered NESA Life Member square knot. 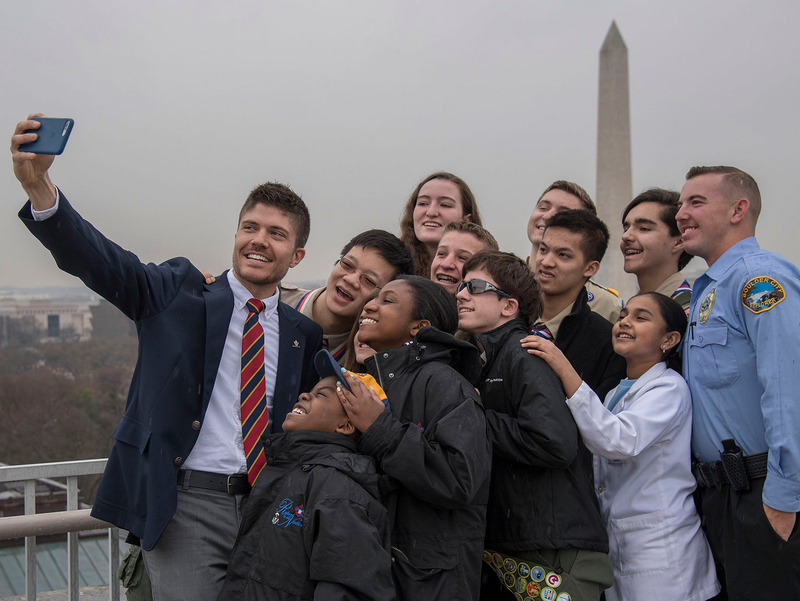 Eagle Scout Scott Berger is associate director of the “CBS Evening News with Scott Pelley,” where he helps put out a 30-minute news program every weekday. Are you ready to go digital with Scouting magazine? Would you read a digital version of Scouting magazine? If so, would you still want your print copy? The BSA’s magazine team is considering that right now. The Eagle Scout Service Project Workbook (No. 512-927) is regularly refreshed to make it easier to use and understand. In honor of Lightning Safety Awareness Week — June 22-28, 2014 — here are some ways to keep Scouts safe from deadly lightning strikes all year long. The Boy Scouts of America is expecting to send about 1,600 people to the 2015 World Scout Jamboree, held Japan from July 28 to Aug. 8, 2015.